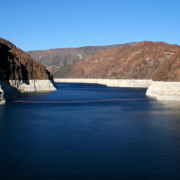 There is a massive deadline looming for states that draw water from the Colorado River Basin — Arizona included. If an agreement on water use and conservation isn’t reached by Jan. 31, the federal government can step in and begin to make conservation decisions for the states. We’ve covered this story extensively on The Show with KJZZ’s Bret Jaspers, but now, there is another twist in it — this time out of California.